Treating both NHS and private patients, we offer an extensive range of general and restorative dental treatments including routine check-ups, root canal treatment and tooth coloured fillings. We also offer a full range of cosmetic and smile make-over procedures such as porcelain crowns, bridges, veneers, flexible dentures, dental implants and tooth whitening. 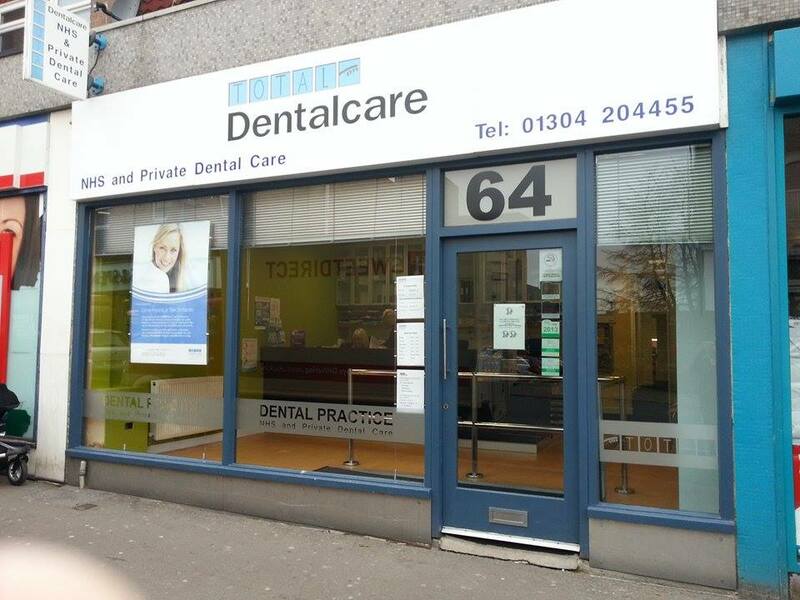 Located just eight minutes from walk from Dover Priory mainline station and situated within the main town, Total Dentalcare has served the local Dover community for over ten years. We welcome new patients and, whatever your dental needs, our highly experienced and friendly team will ensure that you always feel welcomed and well cared for at Total Dentalcare Dover. In response to patient demand, we are pleased to have extended our opening times so our practice is now open from 8am until 8pm every Tuesday, with 5:30pm to 8:00pm appointments reserved for private patients. The practice will also be open for private patient appointments only from 9am to 1pm every Saturday. By car – We have street parking outside and a car park as you enter Pencester Road. Simply type CT16 1BW into your Satnav. By rail – We are approximately 8 minutes, walk from the train station and are situated within the main town.